Oh Candy, that rose is amazing, I have not seen one that color! Beautiful! Thanks you two! 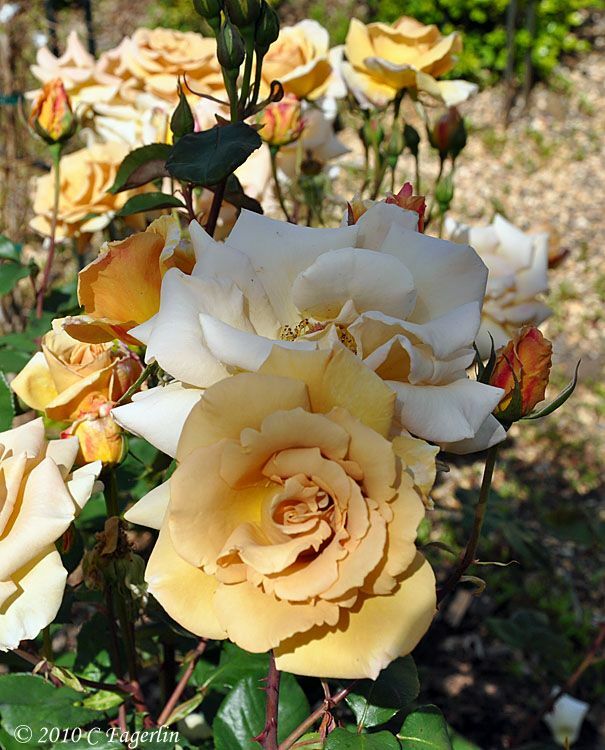 I love butterscotch, which is probably why I originally purchases this rose. I've had it for about 12 years now and moved it from the old garden to the new garden back in 2006.